Edenderry Ladies GAA are having their inaugural Helen Moriarty Memorial Tournament this comingSaturday Sept 22nd. 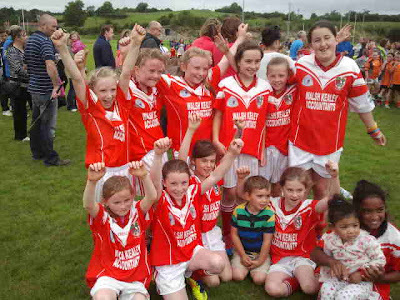 There will be a 4 team blitz featuring girls under 10 teams from Edenderry, Carbury and Tullamore. Games kick off at 11.00am with presentations to teams at 2.00pm. All welcome to attend and support.